Before now, you never would have thought that the next generation of mobile phones would be the Andriod devices right? Yea. Is a thing you can not deny and that has been my mindset not until the later days of 2012 when the Andriod devices began robbing the Blackberry mobile phones off there sales and name to pave way for increase in demand. Since almost everyone wants to get an Andriod device; there are some set of persons who would still love to stick to there Blackberry mobile devices while having an eye for an Andriod product. Taking advantage of the tons of apps in the Google Playstore and the little ones available on the Blackberry store, you may have housed the thoughts of flinging that Blackberry phone of yours into the nearest hole. If your mobile device falls between the Q and Z series then i will advise you not to try that because you can run an Andriod application on a Blackberry Q and Z series mobile phone. Who would have thought about the possibility of being able to run andriod apps on BB not until now. This is no new news as it has been hanging around for a while now and I bet you, Geeks like +Soki Briggs have started exploring this option for a while now. The recent introduction of the Blackberry Q and Z series just made this whole scenario possible and easy to implement. I know you would be wondering if you can actually do that on your BlackBerry Curve 7 or Bold 5 or any other model you are currently using. Thats not true because not every thing works for everything and you should have that at the Back of your mind. One of the major technique used to make this work is that the Blackberry Q and Z Series was built to permit this kind of purpose but I must confess, the installation process is not an easy one at all. You really need to apply some wisdom to get desired result. What the Blackberry Q and Z Series does is that It involved downloading the APK file, converting it to a format recognized by BB Z and Q series and installing on BB. You are free to move to the next step if your phone meets up any of the below requirements. -- Operating system Version OS 10.2.1. (Update mobile device if need be). 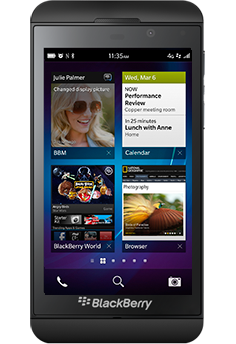 If you don't have the latest version of operating system software running on your Blackberry Q and Z series, simply download the official Blackberry link software for Pc or you can seek alternative downloads from the unofficial download portal for the Blackberry Link Software. Use whichever of the App that works for you..
You got me right? If yes, then get ready to go through the hassle less method of installing this app on your Blackberry phone. Since you have passed all the test, from your browser, simply download and install one Mobile Market app or you can go alternatively for Amazon App store. Which ever of them you solicit for, it gives you access to download and install Andriod apps on your Blackberry mobile device. This is not a new trick as it is similar to the Bluestacks on Pc that lets you run Andriod application over your Desktop or Laptop computers.